This virtual appliance has been built using FreeBSD 6.4. 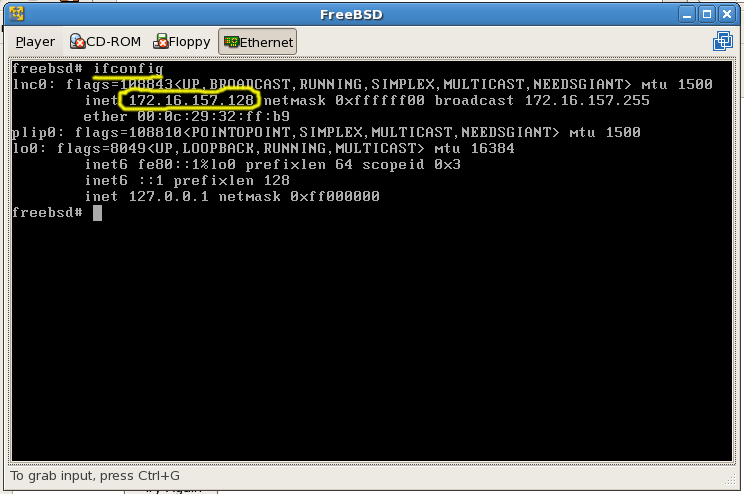 You do not need to know or install FreeBSD to use it. IP Address: Login to appliance from console using root (without password) and issue ‘ifconfig’ to find the appliance IP address. Download virtual appliance from url in your order confirmation email. On Linux use tar xjf FreeBSD-0.x.tar.bz2 to unpack the archive. On MS Windows, use 7zip. Download and install vmware player for your operating system. Open virtual appliance in vmware player. Login to virtual appliance as ‘root’ and without any password. Use ‘ifconfig’ to find the appliance IP address. 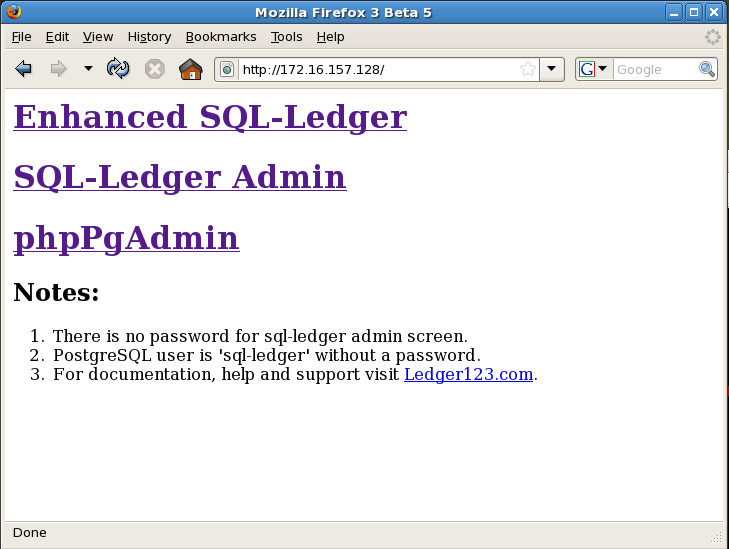 Using your browser visit http://appliance.ip-address/. 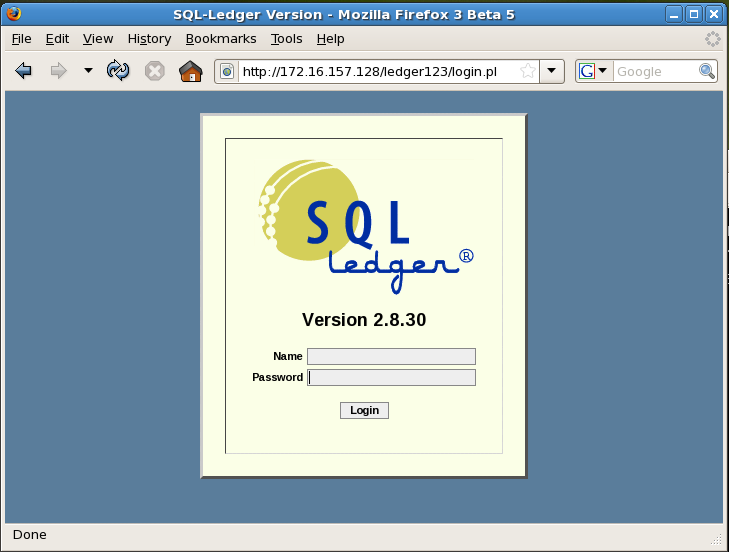 You will find links to SQL-Ledger and phpPgAdmin screen on this page. Login to virtual appliance using ssh, putty or vmware console as root. By default there is no password for root. Virtual appliance is configured to use NAT/DHCP which only allows the host computer to access it through the assigned IP. Login as root to virtual appliance using console, ssh or putty. Change player’s network setting from ‘NAT’ to ‘Bridged’ using ‘Ethernet’ combo box. You should be able to connect to your virtual appliance using 192.168.0.11 in your browser. If you cannot, visit this page to trouble shoot your problem.